It is easy to cut the foam and shape it into whatever you want. Established in the UK in 2003. Why Cases & Enclosures?. 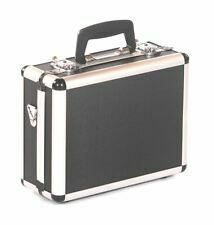 Suitable for EN-AC-FG-A019 aluminium flight case. Protect the contents of your Case by ordering a Pick 'N' Pluck Foam block. The cubed foam is designed to be easy and safe to cut in to almost any shape to fit your needs. Cases and Enclosures are suppliers of quality flight cases, hurricane cases and plastic enclosures for a wide range of uses and applications. Established in the UK in 2003. Why Cases & Enclosures?. Egg Foam Sheet - Suitable for almost all aluminium flight case. Egg Box Foam Sheet - 1m x 75cm x 3cm. Cases and Enclosures are suppliers of quality flight cases, hurricane cases and plastic enclosures for a wide range of uses and applications. 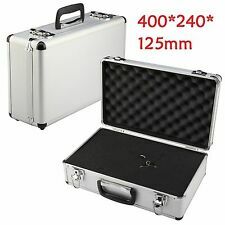 CANON ALUMINIUM CAMERA FLIGHT CASE BOX STORAGE . Condition is Used. Dispatched with eBay delivery – Shutl 1 day. 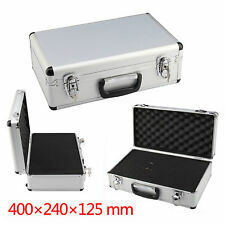 Aluminium Flight Case (460x330x150mm). Cases and Enclosures are suppliers of quality flight cases, hurricane cases and plastic enclosures for a wide range of uses and applications. Pre-Cubed foam block and Carry Strap included. The case is in good condition. Aluminium Hard Camera & Accessories Case. Condition is Used. Dispatched with Royal Mail 2nd Class. Compatible Model For GoPro Hero 5 Black. Material Aluminium. 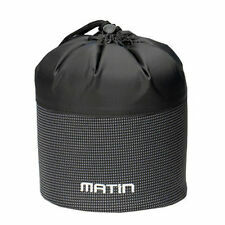 Black EVA Protective Headphone / Earphones Carry Case And Cover W/ Netter Pocket. Colour Silver. 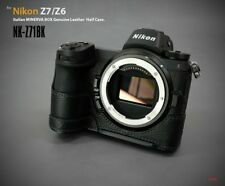 Sling Shoulder Case For Nikon D7100 D7200 D7000 D5300 D5200 D3300 D3200 D3100. 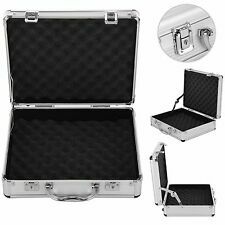 The flight case is made from high quality aluminium with extra corner protection and also includes a lock to keep the contents safe and secure. The flight case includes foam protection in the lid as well as pre-cubed foam blocks in the main case which can be removed in any combination to fully surround the contents for the best protection. ~ Heavy duty dimple aluminium sheet & seam weld construction. ~ Full width, robust piano hinge, with radius corners. “Case Design” is the pre-eminent manufacturer of professional quality, protective cases. In good condition with no scratches, dents or scuffs. Foam lined interior with two movable partitions, shoulder strap and combination locks. It is my intention to describe and explain any significant faults I can find. I try my best to explain as accurate as possible. Established in the UK in 2003. Why Cases & Enclosures?. 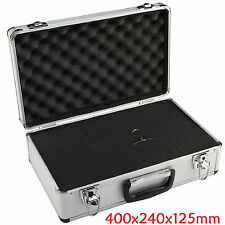 Aluminium Flight Case (450x310x240mm). Foam Lined with Divider Slots. Removable Divider Included. Cases and Enclosures are suppliers of quality flight cases, hurricane cases and plastic enclosures for a wide range of uses and applications. Aluminium Flight Case (570x380x190mm). Our largest flight case with a black and silver finish. 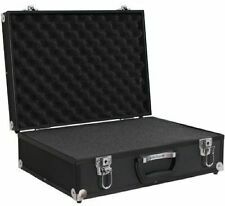 Cases and Enclosures are suppliers of quality flight cases, hurricane cases and plastic enclosures for a wide range of uses and applications. External size:approx 260mm(H)x170mm(W)x64mm(H) Internal size:approx 245mm(H)x155mm(W)x47mm(H) Slim version with metal clasp Contain gripping straps to stop mixing tools External size 260 x 170 x 64mm Internal size 245 x 155 x 47mm Type Briefcase To Fit Multipurpose Features No Locks Rack Space Not Applicable Material Aluminum Collectable/ Vintage Collectable/ Vintage Country/Region of Manufacture Hong Kong Unit Type Unit EAN Does not apply Brand Unbranded MPN DE735548306924. Material:CNC Aluminum Alloy.Note:ONLY for GoPro HERO 7 Black,not for GoPro HERO 7 white/silver. Compatible with GoPro Hero 6 / 5 as well. Hollow design, better heat dissipation;. 1 x Housing. 1 x Lens Cap. 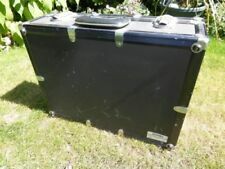 This case is also ideal as a storage case for a van or car boot because of its chest style design. Established in the UK in 2003. Why Cases & Enclosures?. Aluminium Flight Case (550x220x175mm). Cases and Enclosures are suppliers of quality flight cases, hurricane cases and plastic enclosures for a wide range of uses and applications. Soft grip handle. Can support much more weight than standard flight cases. Black with a silver trim. Established in the UK in 2003. Why Cases & Enclosures?. 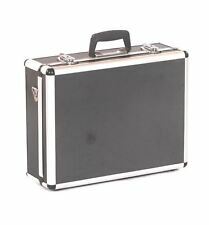 Heavy Duty Black Aluminium Flight Case (330 x 280 x 130mm). Compatible Model For GoPro Hero 5 Black. Material Aluminium. As durable as the case is, we've ensured that it's still lightweight and ultra-portable, so you can transport your kit from location to location - whether you're skiing, surfing or skateboarding, you can grab your case and get ready to go! Material: Aluminum alloy ABS. ● Portable, Lightweight, easy to carry and wide range of uses. Detail Image. Model: 819699. Color: silver. This is ideal for carrying less fragile tools that do not require foam protection and smaller tools such as drill bits, Slot Cars, electronics and more. 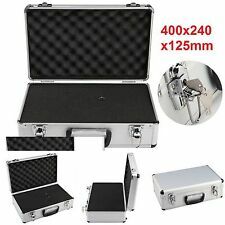 Aluminium Flight Case (460x330x150mm). Established in the UK in 2003. Tough little Aluminium case. Normal signs of use as you can see, you get exactly what you see. Previously owned by a smoker. Keys supplied. Flight Case Customizable Foam Interior for Anki Overdrive Robotic Supercars. As durable as the case is, we've ensured that it's still lightweight and ultra-portable, so you can transport your kit from location to location - whether you're skiing, surfing or skateboarding, you can grab your case and get ready to go! The interior has customisable foam for a secure fit for your gear. Baby Photo Albums. Compact Flash CF. Camcorder Case. Network Switches. Wireless & Network Adapters. Compact Binoculars. 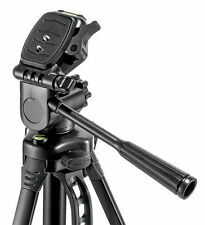 Professional Tripods. Aluminium Cases. Colour - Silver. Pre cut 15mm foam squares on foam interior makes it easy to pluck rather than cut. Available in black and silver and 2 sizes. 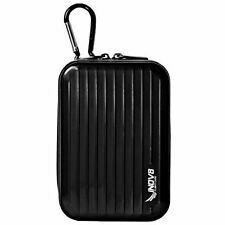 The case has 2 locks for added security along with a detachable carry strap for making it easier to transport. Used Sony Cybershot Hard Aluminum Case. Lid contains small storage box. In good used condition a few marks present see photographs for condition but generally very clean. Last photograph shows a mark on the bottom of the caseInside in good condition with storage divider. Material: Aluminum alloy ABS. ● Portable, Lightweight, easy to carry and wide range of uses. Detail Image. Color: silver. Aluminium camera cases, bags and covers are popular with professional photographers that travel regularly. They provide extensive protection of cameras, lenses and associated equipment when you are on the go. Inside certain aluminium camera cases are thick foam recesses or pockets to house your camera and equipment whilst keeping it protected. Aluminium camera cases can be stacked and packed with other cases meaning they are easy to store and carry if you have other luggage. Certain cases have an O-ring seal to ensure the case is airtight and your camera is fully protected from dirt and potential scratches. They can also be watertight in depths of up to 5ft, which is ideal if you are shooting at the beach or out at sea. Some cases have also been designed to float in water. Aluminium has a high strength-to-weight ratio making it very strong and resistant to impact meaning your camera and equipment has a high level of protection. Even though aluminium cases are very strong they are also lightweight, so they are easy to transport. Aluminium will not tear or crack under stress and it also does not become fragile or brittle in cold weather as the tensile strength increases. Unlike some materials, aluminium cases do not react to extreme temperatures and do not distort or lose shape. With the highest conductivity-to-weight ratio of any metal, the aluminium camera case is an efficient reflector with excellent heat dissipation due to its high thermal conductivity properties. They are safe to use, non-toxic, odourless, non-magnetic, non-flammable and are fully recyclable. Aluminium is also resistant to corrosion including salt water and will protect your camera and equipment from harmful UV rays. Most aluminium camera cases come with a carry handle on the top of the case allowing for easy transportation. Larger cases may feature further carry handles on the side. Certain cases come with a detachable shoulder strap allowing you to comfortably carry your camera when you are on the move. A frame with a pull-up handle and wheels can be used to transport the case over longer distances. Most cases have reinforced metal corners for added protection during transportation.